Saalbach-Hinterglemm is a ski resort in Austria’s largest ski area and one of Austria’s most beautiful alpine valleys. The two villages of Saalbach and Hinterglemm are about four kilometres from each other, with their outskirts almost touching along the valley floor. Saalbach is full of character, with traditional-style buildings arranged around a rather beautiful church and square. Hinterglemm has a bit less charm, arranged along one long street, but both have great access to the snow and lively après-ski. Some of the best places to stay in Saalbach-Hinterglemm are in Saalbach, and some are in Hinterglemm. But our Guru’s list includes both. The skiable area of this resort, which runs on both sides of the valley, is also linked to Fieberbrunn, which is just to the north and Leogang to the east. You can also get to Zell am See on a gondola. There’s no through traffic in either town and the lifts leave from quite close to the centre of town. Hinterglemm’s lifts offer quick access so some of the most interesting runs in the area, and to the north-facing runs, which have the better snow. Summer is an equally popular time to visit Saalbach-Hinterglemm. There's more than 400km of hiking paths, many with breathtaking views, and around the same of biking trails, whether you're here for a gentle peddle round the countryside or you prefer the adrenalin rush of a steep downhill run. Some visitors simply come to soak up the mountain air and stunning surrounds. 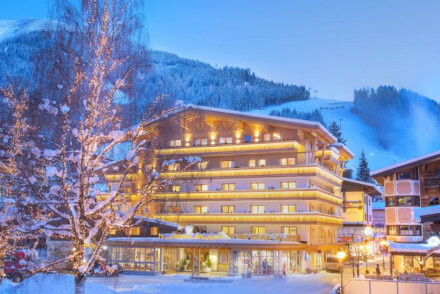 If you're planning to visit during the peak periods including Christmas, New Year and February half term, the best places to stay in Saalbach-Hinterglemm will be booked months in advance. So either plan well ahead or come off season when the slopes will be much quieter. 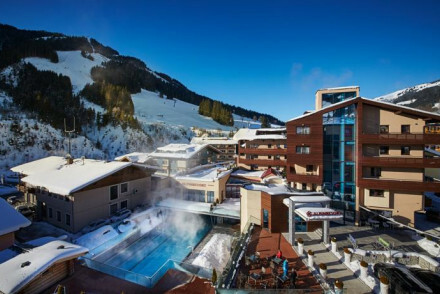 The Alpineresort & Spa is a contemporary ski resort hotel with 90 simple, but large, rooms. There is a fabulous spa and indoor pool and a choice between Alpine and Mediterranean cuisine in the restaurant. Plus you're just minutes from the SchattbergXpress lift. Or there’s the Hotel Eva Village, another contemporary lodge with stunning views. The Hotel Eva has 71 individually designed rooms - the style is fairly minimalist, with a well equipped spa and gourmet restaurant. The Hotel Glemmtalerhof is a luxurious alpine hotel with wonderful views of the mountains. There are 64 light, airy rooms with pine walls, plus an extensive spa menu and a restaurant specialising in regional cuisine. If you’re looking for design-cool on the slopes then Wiesergut is for you. It has just 25 chic rooms with every luxury and excellent views, plus there’s a lavish spa. The Alpin Juwel offers a wonderful fusion of traditional, alpine-style hotel and modern design, with 97 impressive rooms with plenty of wood and glass and stunning views. You’re right on the slopes and there are plenty of in-house activities. The Gartenhotel Theresia is a traditional hotel in an excellent location right on the slopes. There are 26 elegant rooms - the best have four-poster beds as well as pine furnishings. Despite being small this hotel has two pools and a spa, as well as a terrace for summer eating. Munich and Salzburg are both a 2.5 hour transfer from resort. The best time to visit Austria's largest ski area is between December and April when snow settles on the mountains. 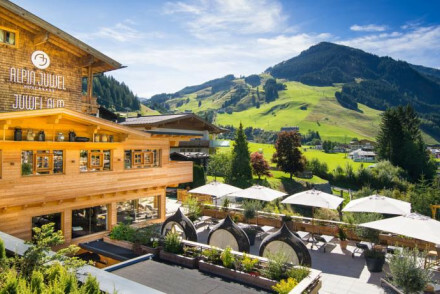 Browse through our list of all the best places to stay in Saalbach-Hinterglemm. Explore nearby alternatives such as Leogang and Kitzbuhel. A traditional hotel in an excellent location right on the slopes. Elegant rooms with pine furniture, soft hues and the best have four posters. Spend leisurely summer evenings dinning on healthy cuisine on the terrace. With two pools and a spa, it's a real has-it-all property. Active Holiday - The hotel is within striking distance of numerous alpine activities, so there is plenty to keep outdoor enthusiasts occupied. A well designed contemporary lodge with stunning views. Individually styled rooms keep the traditional pine presence yet add contemporary minimalist design and bright colours. Feel your stress ebb away in the well-equipped spa and the gourmet restaurant is the ideal spot for evening indulgence. Skiing - Saalbach boasts 270 km finely groomed slopes, plus an extensive free ride area. Active Holiday - Return from a day on the mountains to a glorious spa and exemplary cuisine. A luxury alpine hotel with gorgeous mountain views. Light and airy rooms feature light pine clad walls, simple clean contemporary design and soft natural hues. An expansive spa will ease away those aches and pains. Regional cuisine served up in the restaurant. A haven for outdoor enthusiasts. Active Holiday - With the Alps on your doorstep nowhere could be better to get into the great outdoors and partake in one of the many activities. Skiing - Saalbach offers 200km of varying pistes to suit all abilities. A stunning mix of traditional Alpine style and modern design set right on the slopes. Impressive rooms mix glass and wood and boast gorgeous views. Plenty of in house activities with two pools, a games room and a glorious spa and just steps from mountainous activities. Simply divine. 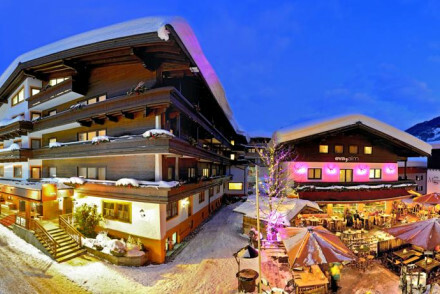 Skiing - The hotel is located right on the slopes in the Saalbach Hinterglemm ski area. Active Holiday - A plethora of alpine pursuits starting just steps from the hotel door. 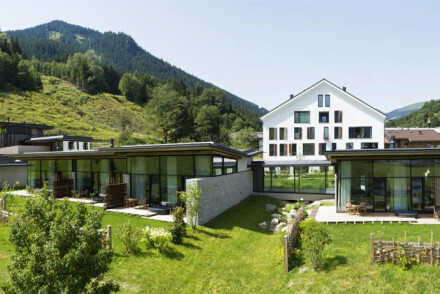 Awash with urbane style, Wiesergut is a fantastic, modern alpine hotel. The chicly designed rooms are spacious and luxurious with great views of the surrounding valley. With excellent skiing on your doorstep and a lavish spa, it's the ideal getaway. A wondrous retreat. Total relaxation - With an extensive spa, indulgent opulent suites and beautiful surrounding landscapes, it's the perfect place to unwind. Active Holiday - A great spot for an outdoor holiday, with skiing slopes and hiking trails from the front door. Great walks - There are a whole host of walking trails in the area surrounding Saalbach Hinterglemm. A contemporary ski resort with generously proportioned rooms, simple clean design and luxurious modern bathrooms. A glorious spa and indoor pool provide the ideal area to relax post a day outdoors. Alpine cuisine and lighter Mediterranean cuisine at the restaurant - all meals included in the price. Skiing - An extensive ski resort with 200 well-groomed pistes, 55 lifts and two snow-parks.